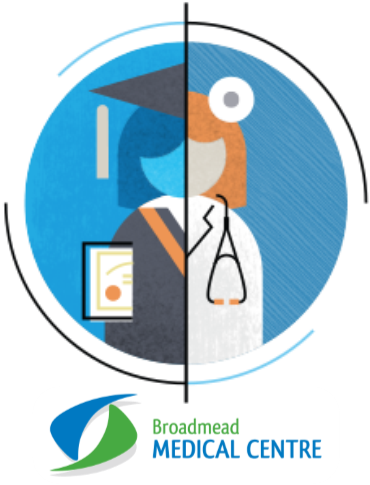 Broadmead Medical Centre is now very proud to be a GP Training Practice, headed up by Trainer (and Lead GP) Dr Catherine Maytum. Broadmead was delighted to welcome its first ever Junior Doctor in training, Dr Sarah Schimansky an F2 Doctor, in late December 2016. ”Achieving and maintaining training practice status enhances the quality of the medical care provided at the practice. It enables patients to see a wider range of clinicians, whilst allowing the surgery to benefit from the fresh ideas and approaches brought by young enthusiastic doctors like Sarah. Feedback from patients regarding trainees in other surgeries has been overwhelmingly positive. The trainee Doctors tend to be based in the surgery for between 3 and 12 months, becoming an integral part of the practice team and an invaluable resource for patients whilst they are with us”.